The Walking Dead is making an appearance tonight during the Super Bowl, well at least Daryl Dixon. Time Warner Cable has a special commercial featuring elements from The Walking Dead for tonight’s big game. The commercial will be shown sometime during tonight’s game, which happens to be the 49er’s and the Ravens, just in case you are not a huge sports fan. The commercial shows a woman tending to her home and doing things that anyone would do, however her home has a Walking Dead twist. It starts off with her cleaning off a machete covered in guts while casually chatting on the telephone. Then she makes her way down to her daughters room where they have a walker chained up, and her daughter is feeding a little zombie. The next scene she is sweeping the hallway behind what appears to be the “Bicycle Girl”. 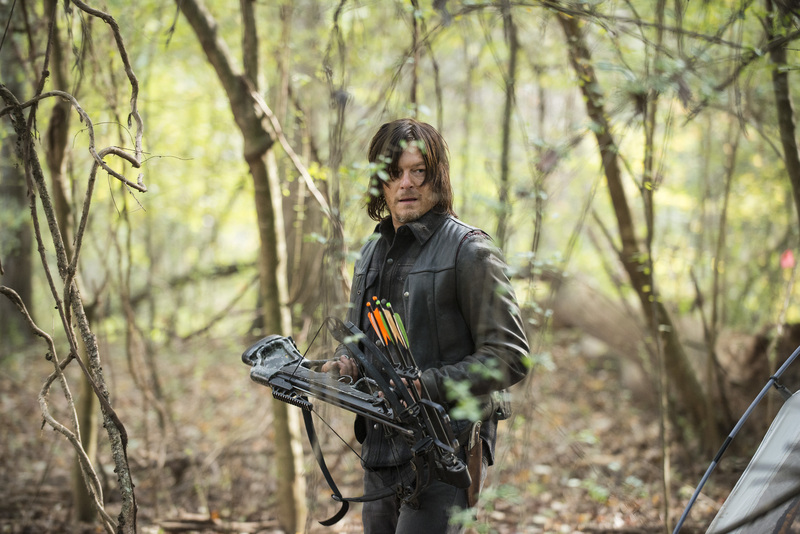 Then she almost gets hit by an arrow fired by the huge fan favorite, Daryl Dixon, played by Norman Reedus. The commercial is just plain funny and you can check it out below! “I’m Sorry”. LOL love it! Yeah its the best part. When was the commercial played? I watched the entire game, and never saw this. I think it was played in certain areas, it played where I live. 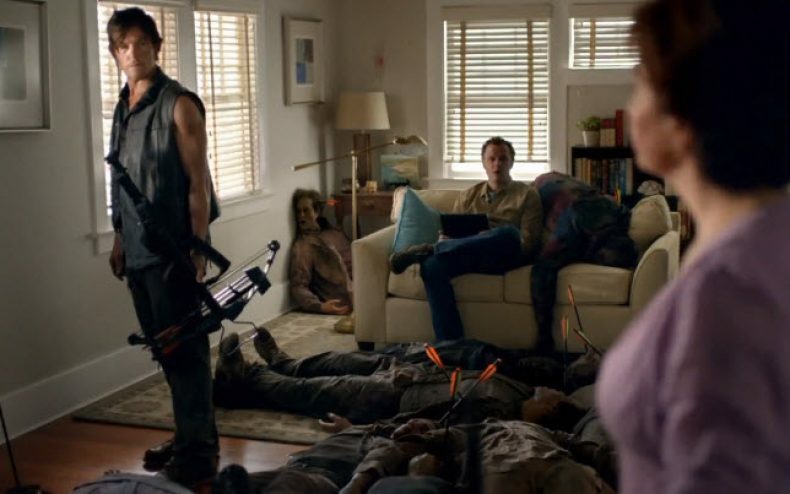 Best part is the end with Reedus, funny. I enjoyed these too. My grandson is such a fan. Grand Pop was a hero sending him these links.